Industrial quality with maximum versatility. Shock proof acetate handle and S2 alloy steel bits. 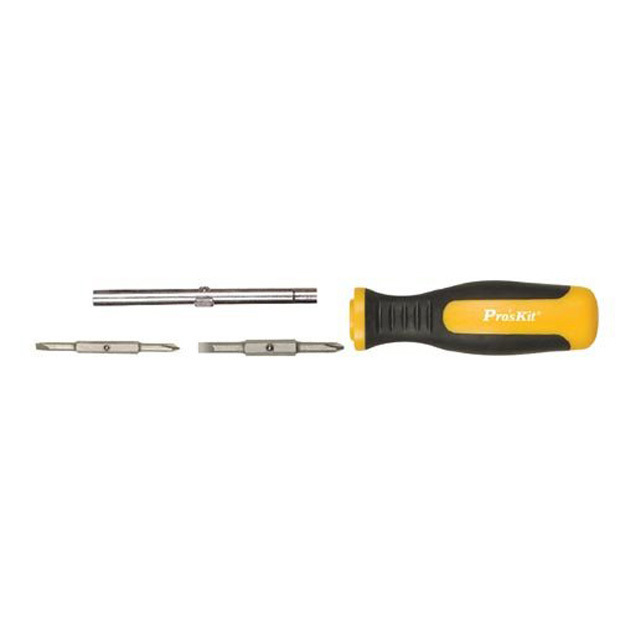 Screwdriver overall length is 7".